If you have water in your basement or crawl space, have seen mold growth, or have foul odors coming from your below grade spaces, it's important to get a quality solution quickly. Atlantic Basement Systems is a trained and professional basement waterproofing and crawl space repair contractor serving Greater Ottawa since 1993. At Atlantic Basement Systems, our licensed specialists understand that if you have a wet crawl space, basement seepage or water problems, you simply need an effective and affordable solution. When it comes to wet basement repair you need a company whose expertise, reliability, and workmanship is second-to-none! Call us today at 1-613-228-2884 or contact us online to get started with a free estimate in Ottawa, Nepean, Orleans and the nearby areas. The only machine that will get you the results you need is one called a SaniDry™ Basement Air System. Water and mold problems are all too common in basements and crawl spaces, which is why you need a complete system that will provide long lasting, effective waterproofing. At Atlantic Basement Systems, we have products such as sump pumps, drainage systems, dehumidifiers, vapor barriers, and waterproof wall panels and flooring to ensure that no water gets into your home. 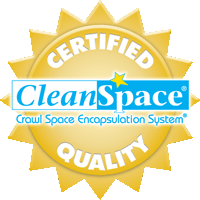 By installing a basement waterproofing or crawl space encapsulation system, you will eliminate leaks, water damage, standing water, mold growth, foul odors, and other common problems. Our systems are designed to ensure that your home is clean, healthy, and stays dry all the time. "Thank you. 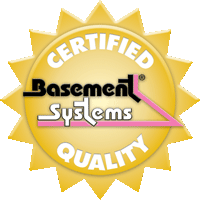 Website indicated well established company..."
If you're interested in basement waterproofing or crawl space encapsulation for your home, Atlantic Basement Systems is here to help. As the local member of the international Basement Systems network, we provide the highest quality waterproofing products in the industry, and our trained and professional specialists know what it takes to give you the right solution for your home. Call us today at 1-613-228-2884 or contact us online to get started on your basement waterproofing project with a free estimate. We proudly serve in Ottawa, Nepean, Orleans, Gloucester, Renfrew, Brockville, Kanata, Smiths Falls, Carleton Place, Vanier and throughout the surrounding areas.